We know that our patients and their families are gearing up for the holiday season, just like our team at Bluedot Dental. Today, we want to shine the spotlight on the most talked about animal this time of year: reindeer. Not only do these helpful creatures ensure that good little boys and girls all over the world receive their presents in holiday stories, they are uniquely suited to do so. 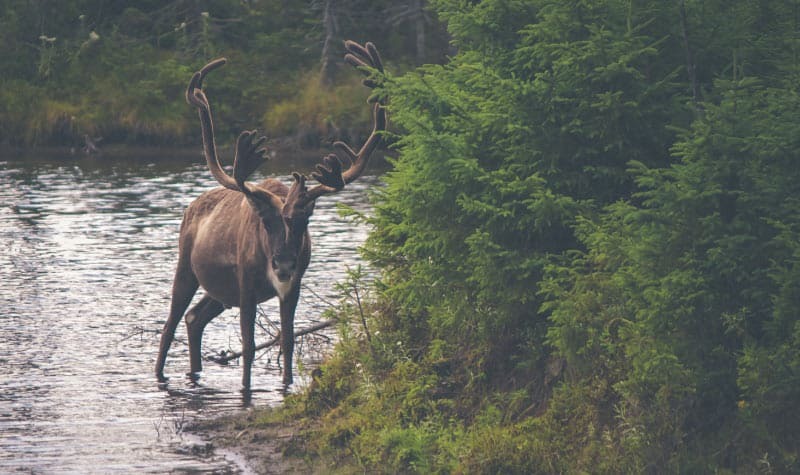 Read on to learn more about reindeer and their teeth! How Many Teeth Do Reindeer Have? While humans have only 28-32 teeth, reindeer have 34 teeth! Another difference between humans and these magical four-legged creatures is that the latter do not have upper front teeth. Instead, they use a combination of the incisors on their bottom jaw and a dental pad/plate on the top of their mouth to bite and tear at their food. And their premolars and molars are ideally shaped to grind their food. Rudolph and his family and friends are herbivores, meaning they only eat plants and not meat. They enjoy a variety of leaves, ferns, plants, grasses, plants, and herbs. During the cold winter, reindeer mainly survive on Cladonia rangiferina, also called reindeer lichen. It is a large branching organism made of algae and fungus that grows abundantly in arctic and subarctic regions. Reindeer are built to survive the freezing winters near the Arctic Circle. For insulation, they rely on their two layers of fur, a shaggy outer layer and a dense layer of fine fur underneath, which work to trap body heat. Furthermore, air is warmed inside their furry nose before traveling to their lungs. How Much do Reindeer Weigh? While a few reindeer have been found to be a whopping 700 pounds, males are typically about 450 pounds, with females weighing in at about 250 pounds. Santa’s reindeer probably have a great veterinarian that takes care of their teeth; remember that your human teeth also require good oral care to stay healthy and strong! This includes a daily oral hygiene routine in which you brush your teeth twice daily for two minutes each time and floss every day. Additionally, visit our office regularly for cleanings and exams, eat a nutritious diet, drink plenty of water, and only chew sugar-free gum. To ask our team any questions about how to care for your teeth, or to schedule your next appointment, contact us today. Does Chewing Gum Protect Teeth?